Normally, a prompt like SPARKLES would make me pull out all my glitter and go crazy. And I did that last night. 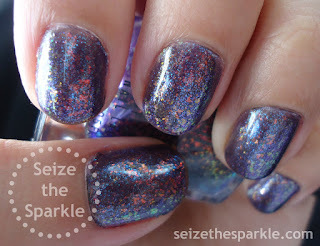 Only, I got a little carried away, and ended up with a hot mess of glitter on my nails. It just wasn't turning out as I'd hoped, so I had to scrap it and regroup. Then I remembered The Uptown, and thought it would look cool layered over Choo Choo Choose Me. Which it did. 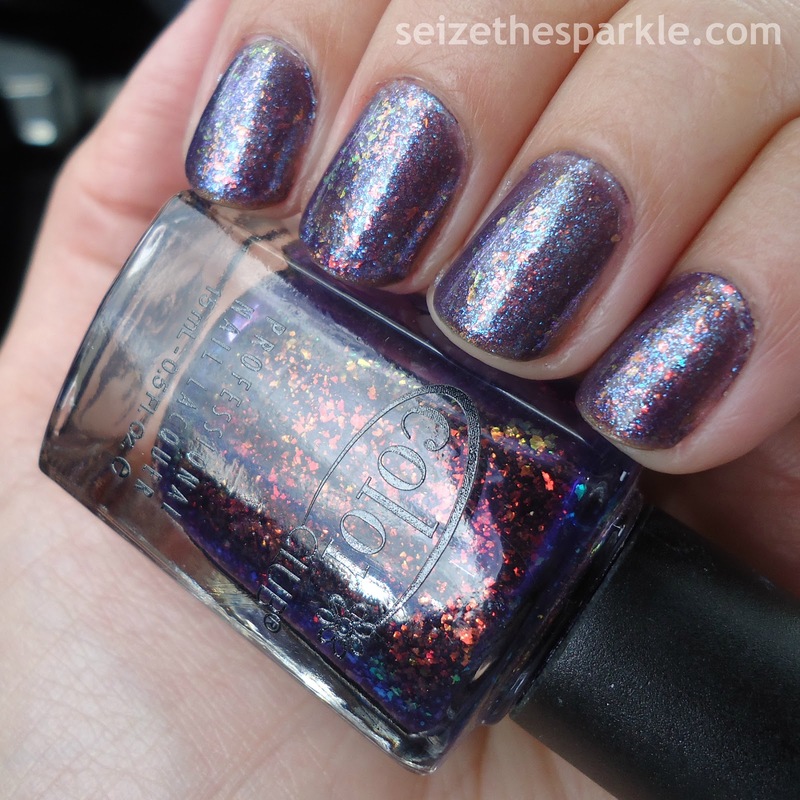 Choo Choo Choose You is a blue/gray/purple jelly polish that houses a really fine shimmer that flashes through all the colors. 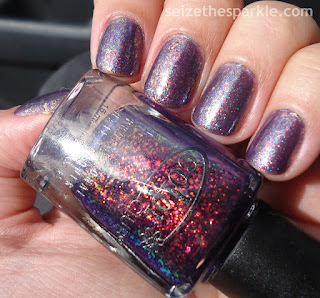 The Uptown features flakies that flash through the rainbow in a purple jelly base. I could've just paired The Uptown and Choo Choo Choose You togther, but I added Oh, Baby for a little bit of extra interest. I really like the way this layering turned out, but it was definitely different than what I had in mind. When I look at it, I see a bluer version of Orly Fowl Play with more pronounced flakies and shimmer. While painting, I kept thinking I needed to add some pink to this, but I'm trying to get away from always doing the pink/purple/blue/turquoise combo. In other news, Peanut's 3rd birthday party was a huge success! We had a little party at a local Creamery and the night ended with an awesome hay ride! So much fun, but man has it gotten cold outside! I'm currently typing from underneath a pile of covers with wool socks over a pair of regular socks, and my feet are still freeeeeeezing, I kid you not! I was nawt made for cold weather. Likeatall. Brrrrrrr... But we did have the best time, and we're going to do our best to have a relaxing weekend. So. Happy Friday, and Happy Weekend to you and yours!